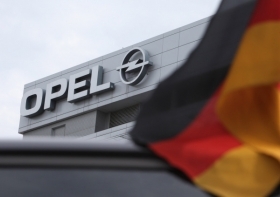 BERLIN (Reuters) -- General Motors' European unit Opel/Vauxhall is close to signing an accord with workers at two key German plants to cut hours, an Opel spokesman said Monday. Talks on cutting the working week at Opel's main plant in Ruesselsheim, which builds the Astra compact and Insignia midsize models and at the automaker's Kaiserslautern engine factory, are due to be concluded on Wednesday. It remains unclear how many workers would be involved and exactly how their hours would be reduced. Collectively, the two plants employ 16,500 workers. Opel also has German production plants in Bochum and Eisenach. Falling consumer demand at the carmaker may lead the company to make use of a clause in wage contracts to cut employees' standard 35-hour work week to 31 hours. If Opel decides to cut hours, it could be eligible for government subsidies under the German government's short-work program, called "Kurzarbeit". On Monday, the Wall Street Journal reported a deal to shorten hours at the two plants could be signed within the week, allowing for implementation on September 1, citing unidentified people familiar with the matter. The Opel spokesman declined to comment on the report. GM is struggling to turn around its European unit after reporting losses of $361 million in the region in the second quarter. GM's losses in Europe for the first half of the year totaled $617 million. In June, Opel's supervisory board approved a medium-term business plan, which runs through 2016, in a step toward returning to profitability. The plan involves "massive" product investments, a revamped brand strategy, an increase in exports, cuts in material, engineering and development costs as well as added savings from its alliance with France's PSA/Peugeot-Citroen. In the first six months, sales at Opel and UK-based sister brand Vauxhall fell 15 percent to 467,937 in the EU and EFTA countries, according to industry association ACEA.